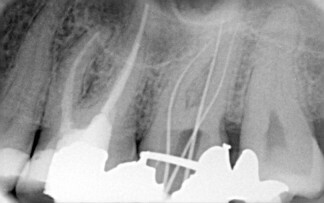 Complete chemo-mechanical preparation, including removal of pulp or necrotic debris from a canal, and add 416, for each additional canal of a tooth with multiple canals. This means that the hollow areas of your teeth contain the pulp. The pulp consists of the nerve, blood supply and other cells that repair the tooth from the inside. Once a lot of bacteria enter the pulp there is only one way the body can help and that is through the opening of the root. Eventually the pulp tissue can’t handle the bacteria and it becomes inflamed. If the inflammation continues too long the tissue starts to breakdown and dies. Then the bacteria reach the body outside the tooth, and eventually, in severe situations an abscess can occur. The root canal needs to be cleaned not only internally, but the wall of the canals, of bacteria and the dead and dying tissue. This is achieved with files and chemicals that disinfect and breakdown the infected pulp tissue. Files – are instruments that start from 0.06mm diameter at the tip to 1.2 mm at the tip. They have to be flexible as many canals can be curved. The canal ideally should be cleaned to 1mm from the tip of the tooth. 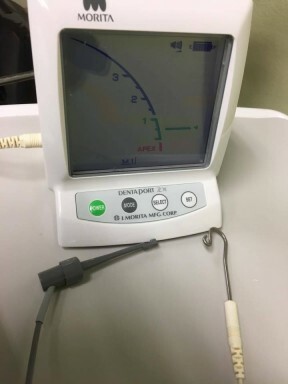 A machine called an apex locater can help as it is clipped to the file and a monitor can help determine how far from the end of the tooth the file is. Ultimately an x-ray is required to determine is that the file is to the ideal length. 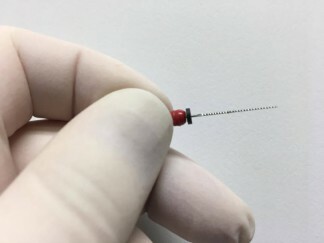 The file cleaning of the canal starts from the file that goes to the end of the root and using progressively larger files, till firm tooth structure is reached. This can be done by hand or by a machine. Chemical – Sodium Hypochlorite is the most commonly used disinfectant as well as EDTA. 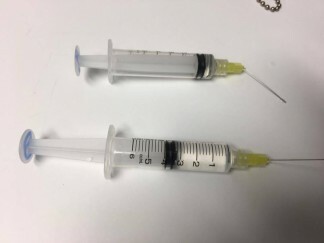 They are NOT injected but a used to flush the canals. Another chemical is an antiseptic and antibiotic used to dress the canals between visits once they are dried with paper points. One brand is Odontopaste. There is lot more that can be said on this procedure. That’s for another blog or more. Needless to say it is a difficult and time consuming procedure, especially in molar teeth. 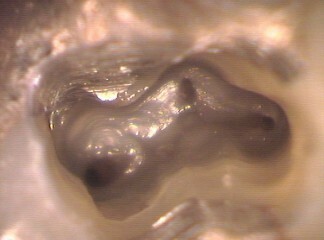 The canals can be very tiny and magnification is often required. It can be very difficult to find the canals and referral to a specialist may be needed, who also have microscopes. It’s fiddly! If the tooth can be saved and there is enough tooth structure left to be useful, then root canal treatment is the preferred option, rather than its removal.